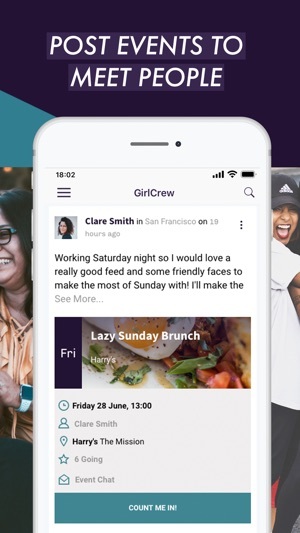 GirlCrew - make new friends, find local events. 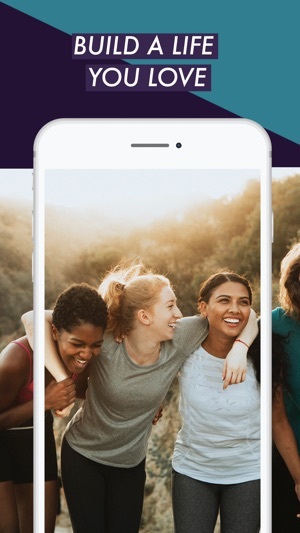 Follow the group for your city, post to say hello, suggest an activity such as brunch or hiking and and go on a little adventure, with other like-minded women. 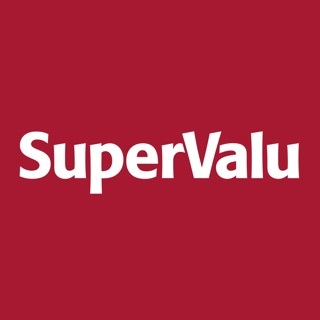 It’s also a great community to get insider advice and local recommendations. If you don't have anything in particular you'd like to do, simply pick an event hosted by someone else and head along. You can even chat to the other girls beforehand to get to know them a little in advance. GirlCrew members have organized everything from brunch, to nights out dancing, to healthy hikes and marathons. They've even travelled internationally together, helped each other get jobs, start businesses and supported each other through tough times. We can't wait to welcome you in. "Personally, GirlCrew has changed my life socially. I am never short of things to see and do and have made what I believe will be some lifelong friends out it. I truly love my new life, thank you GirlCrew." "I found GirlCrew at a time when I felt isolated and unsure of myself. GirlCrew brought back my confidence." "My social circle has widened exponentially...so thanks GirlCrew, I'd be lost without you." "My best memories of GirlCrew are making great friends that are a core part of my life..."
"I have so many memories of GirlCrew, it's amazing how so many fabulous ladies have come to one place." "It's so lovely to meet similar minded ladies to share your experiences with." "It's only the beginning, here's to many more adventures." What are you waiting for? Come join the global party and make some amazing new memories of your own, and friendships to last a lifetime. As requested by members, we changed notification setup so that you don't get them until after your account is verified. Thanks for the feedback everyone! I was part of GirlCrew when they were just a group on Facebook and it was fantastic. There was constant interaction and conversations, and it was very easy to talk to and meet new people. Once the app came out however, the Facebook essentially shut down, and I feel like the app isn’t adequate substitute. You get notifications for all the groups your “subscribed” to in the app, so if you post something, the notifications are lost. I find as well, when I go into one of the groups, the posts aren’t in date order, so I find myself looking at meet up requests that are a mont to two months old. Great general idea, poor execution. Thanks for the feedback Lor. The posts within groups on Facebook weren't in date order either, they were in order of most recently commented on so, we used that same order for the app. To help keep notifications relevant, you can do things like only get notifications for events, or follow only groups that are relevant to you. We only shut down topic groups on Facebook, so if you were a member of one of our city groups, you should still have full access to that too if you prefer it. Best way to make new friends! I’ve been a member of GirlCrew for a few years and honestly feel it’s one of the best ways to make friends online, who then become lifelong friends in real life. I’ve made friends in Ireland but also travelled the world with people I met through GirlCrew! I only wish all my friends had it so we could organize events through the app. Hopefully more people join! Thanks for this fab review! Would be so handy to have all our current friends on too for planning stuff. Love that. Thank you for my social life! I wouldn’t be where I am today without GirlCrew and that’s the honest truth. 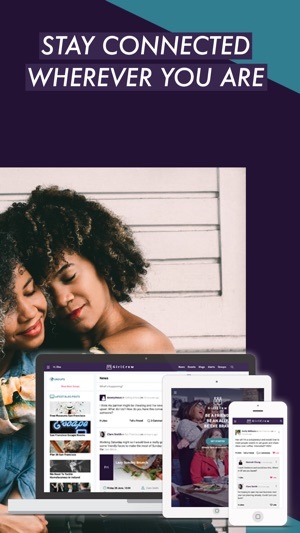 Developed by some honestly awesome people, I know a meet up is only a click away! 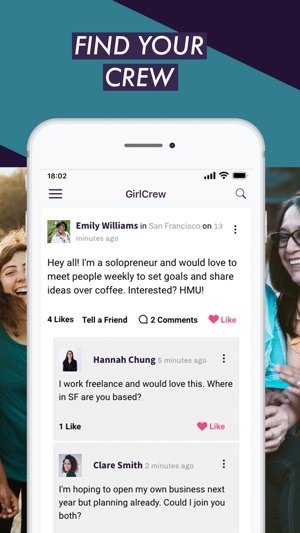 I also love how they take the safety of their users really seriously, and the amount of time and commitment they put into making GirlCrew an online but also more importantly offline experience. Couldn’t recommend more!